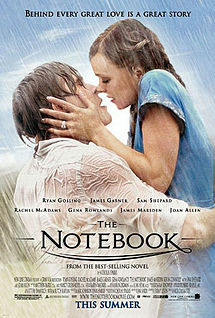 Sponsored: Alex's Favorite Romantic Movies. We're talking love, fun and tears. . . | Breezy Mama Breezy Mama - Expert parenting advice, celebrity interviews, product reviews for kids, moms and babies and more! 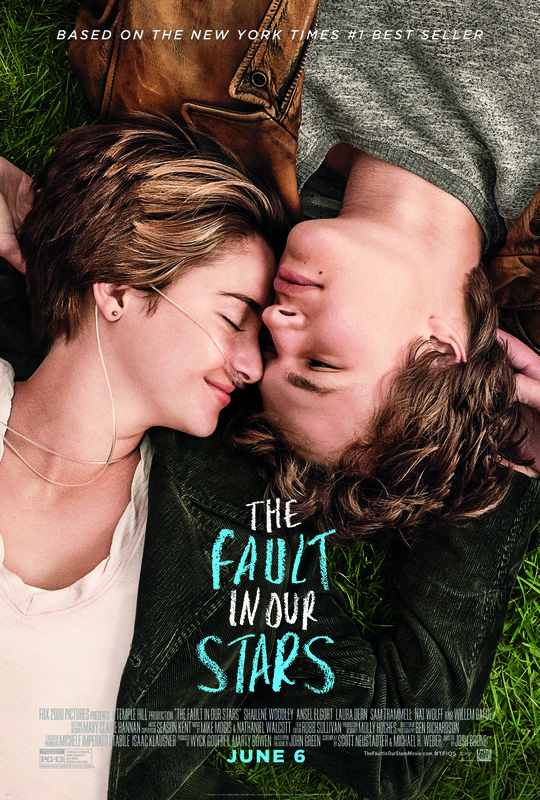 Above: The official trailer for The Fault in Our Stars, which hits theaters this Friday. Watch the trailer and see why it’s the newest movie to make it to my top love stories. 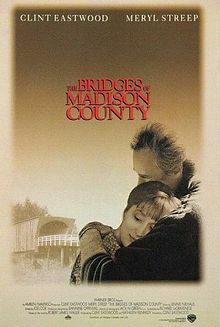 . .
Perhaps the first movie that I saw which threw me into the romance genre. First, I could never get enough of Danny Zukor’s eyes. 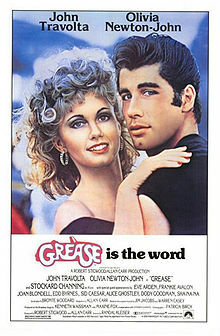 I had the record, which folded out to an up close and personal shot of Danny hugging Sandy. I would stare into those eyes, and imagine him coming to my school and dancing up a storm. But enough about me. . . I would be so frustrated with the way Danny was acting—it was obvious that he liked Sandy, why didn’t he just stand up to his friends and go out with her? And why were The Pink Ladies so mean to Sandy? Grrrr, high school love. Oh.My.Lord. Tears, tears, sobbing, and more tears. A woman is home alone for the week while her husband and children are away at the Illinois State Fair. A photographer shows up, who has come to her town to shoot the covered bridges for a National Geographic article. The two define “love at first sight”, but she is married, with a whole different life. So painful to see what could’ve happened—they lived their entire life with a “what if”? Bridges showed me that you have to be a mover and shaker with love, you can’t just stand around and hope it will find you. The classic love story, but Leo and Clare made it oh, so much better. 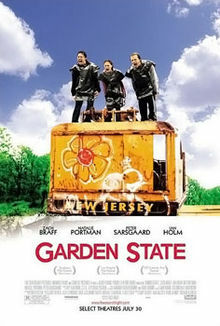 After I left the theater I couldn’t stop thinking about this movie. 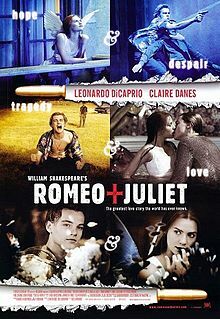 It made me analyze relationships, while feeling so blue about what happened to Romeo and Juliet. And the music! The soundtrack to this movie is superb, and really makes the film so much better. Remember the scene during the party where they discover each other through the fish tank? The music goes from fast and super fun to really beautiful, romantic music sung by a woman with a beautiful voice. So soulful. I really couldn’t shake it. Talk about tears. Tears were streaming down my face when this bad boy ended, and I had to admit, I was glad I watched it with my girlfriends—the teasing from my husband would’ve never stopped. A boy and a girl fell in love, only to break up and reunite years later. Only, the girl is engaged, but she can’t stop thinking about the boy—what to do? So heart wrenching, but a definite must-see. Andrew comes back home to attend his mom’s funeral, only to end up meeting Sam, who is a pathological liar, but somehow gets into Andrew’s heart. They spend the next three days together, and you find yourself only wishing for them to kiss. It’s one of those painful movies where you want the characters to throw themselves at each other, since it’s SO obvious they like each other, but they don’t. Andrew ends up going home, while Sam begs him to stay. He can’t (so he says, though nothing waits for him at home) and he walks away. . . only to come running back into her arms. You’re crying, you’re laughing, you’re so glad they found each other. . . another home run in the love division. And the newest film to be added to my list: The Fault In our Stars. It involves teenagers, cancer, and living each day to its fullest. It’s about love waking us up, making us live, and seeing that each one of us is special. Just watching the trailer made the tears flow. I just need to decide if this one to watch with the hubby or my girlfriends. . .